79. Rabbi Yaakov Dov Bleich, Chief Rabbi of Kyiv and Ukraine, sponsors a Home for Assisted Living that is located in a pleasant residential area close to public transportation. Originally planned as six-story conventional apartment building, Rabbi Bleich reconfigured it to accommodate 85 Jewish elderly in one- or two-bedroom apart-ments, each with its own bathroom and kitchen facilities. It was expected that residents would pay for their new apartments with proceeds from the sale of their old apartments; the proceeds were deposited in a trust that was expected to yield a return sufficient to support operation of the building. In addition to residential apartments, the facility includes a kitchen and small dining hall, a synagogue/multi-purpose room, other program rooms, a suite of medical offices, and several staff rooms. The number of residents in the Home never reached even half of its capacity. Other organizations, principally JDC, blocked grants from foundations and other institutions that had been approached about start-up funding, assistance for Holocaust survivors, or other forms of support. Locally-generated income never reached its goal because social conditions forced Rabbi Bleich to accept several residents who were homeless, that is, who had no property to sell and thus no proceeds to transfer to the Home. In recent years, the general economic condition in Ukraine has further damaged the capacity of the Home to operate according to original plans. In response, the number of residents was reduced to 28 people, who now occupy apartments on the second and third floors. Part of the first floor and the upper three floors were converted into office space, the rent from which now pays the cost of maintaining Jewish elderly on the second and third floors. A separate entrance was developed and a new elevator installed so that the commercial tenants and residents are separated from each other. Viktor Popovich, the manager of the facility, stated that all commercial space is occupied and that rental income from this space covers almost all expenses incurred by the Home. However, he acknowledged, the declining value of the Ukrainian hryvnia and Ukraine's galloping inflation are taking a toll. He estimated that food prices have increased 20 percent and that the cost of utilities has risen much more. Further, he said, the Kyiv municipality is now charging fees for certain services, such as garbage collection, that it previously provided at no cost. The 28 residents range in age from 67 to 97. Four are bedridden, stated Mr. Popovich; their condition required that the Home purchase new, special beds for them. Two health professionals, including a nurse, are on duty around the clock, and physicians visit according to a regular schedule. In response to a question, Mr. Popovich said that applicants learn about the home from the "Jewish telegraph" (word of mouth), synagogues, the hesed, and Jewish newspapers. 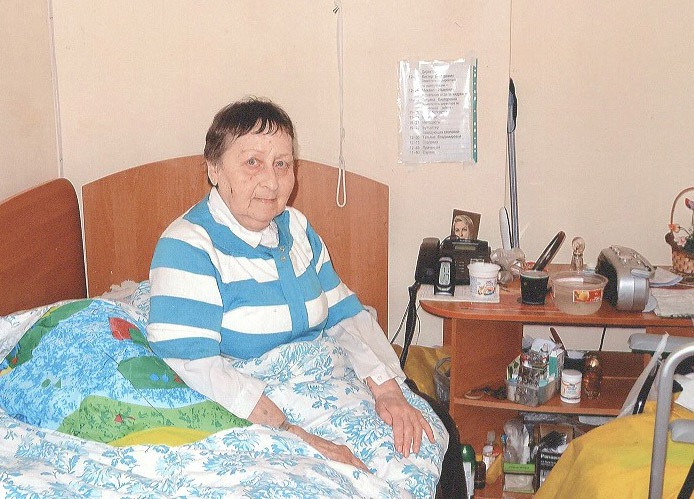 Aliza Greenberg, age 77, relaxes in her room at the Home, as seen in the photo at left. A dentist before her retirement, she is the aunt of a prominent Jewish leader in Moscow who arranged her entry into the facility. 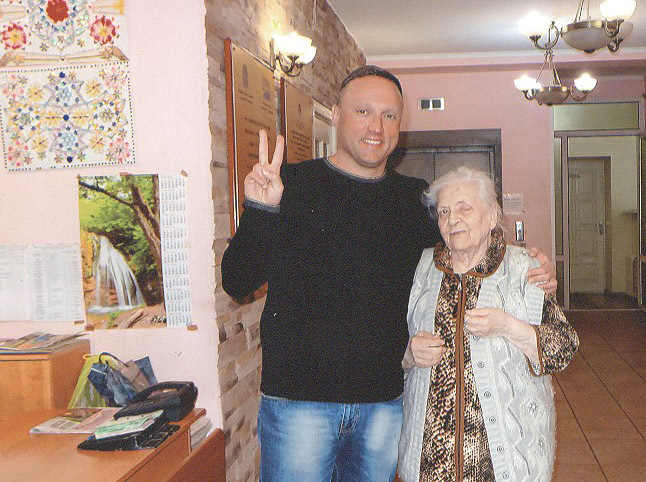 In the photo at right, facility manager Viktor Popovich poses with another female resident in the lobby of the Home. Mr. Popovich knows all of the residents by name. In addition to the residential program, the facility accommodates a day center used by up to 50 Jewish elderly every day. The costs of the day center are covered jointly by JDC, income from the office rentals in the building, and a subsidy from Rabbi Bleich's office. Asked about the role of JDC in the Home, Mr. Popovich responded that the hesed sometimes provides adult diapers for residents who need them. Otherwise, it is not involved and it doesn't "bother" (мешает) them. Mr. Popovich expressed concern about the political and economic situation in Ukraine. Ukraine may be a sovereign state, he said, but, in reality, the future of Ukraine depends upon Vladimir Putin of Russia. Born in 1972 and a former officer in the Ukrainian armed forces, Mr. Popovich recently received a reserves notice from the new Ukrainian National Guard. Showing the writer his military identification card, Mr. Popovich said that he keeps fit and is ready to resume national service if called. 80. The Association of Jewish Organizations and Communities of Ukraine, better known as the Ukrainian Vaad, is chaired by Iosif Zissels, a longtime Jewish community observer and leader in Ukraine. Although strapped for funds in the current economic environment, the Vaad works in four main areas: Jewish property preservation and restoration, as well as archival research; interethnic tolerance; representation of Ukrainian Jewry in various international forums; and operation of Jewish community programs in small Jewish population centers, focusing on summer camps for adolescents. The Vaad has sponsored heritage expeditions to places of Jewish interest in Ukraine, and Mr. Zissels himself is regarded as well-informed and a capable analyst of Ukrainian Jewry. When the writer asked Mr. Zissels how things were going (Как дела?) as an opening question, he responded (in Russian), "The most important thing is that we are alive, we are well." The biggest problem, he continued, was the situation in Donetsk and Luhansk, where Russian separatists have created major difficulties. The separatists, he continued, are supported and controlled by Russia; no support exists for them in Ukraine. Everyone in Ukraine is very nervous about Russian intentions, the Jewish population more so than others, Mr. Zissels stated. Instability is never good for the Jews, he observed. The Jewish population of Ukraine, stated Mr. Zissels, is united in its support for Ukrainian sovereignty and opposition to Russian intervention in Ukraine. Fortunately, no Jews were particularly close to former President Viktor Yanukhovych, so there is no stain of collaboration attached to local Jews. Jewish support for the "Maidan revolution" is well-known; Ukrainians are aware that three Jewish protesters were among those killed on Maidan. However, he lamented, although Jews may be united in support of a free and independent Ukraine, the Ukrainian Jewish population in general is disorganized with no strong leaders. Everyone does what he wants. Neither of the "strong" rabbis in Kyiv can lead anyone else. Vyecheslav Likachev, the Vaad-associated specialist on antisemitism now is in Israel, said Mr. Zissels. Nonetheless, Mr. Zissels continues to monitor anti-Jewish bigotry in Ukraine closely. He has excellent contacts in the Ministry of the Interior and the Ministry of Culture, he stated. From their records and his own contacts, he is confident in saying that no increase in antisemitism has occurred in Ukraine. It is true, he noted, that several small Ukrainian political parties have fascist components, but these views have found no support among the general Ukrainian population. Russia exploits these small expressions of anti-Jewish bigotry for its own use. The situation in Russia itself is very serious, stated Mr. Zissels. Democratic practice is declining and political repression is increasing. Antisemitism is more serious there than in Ukraine. The dissident movement in Russia is growing, Mr. Zissels observed, and many Jews play prominent roles in it. 81. 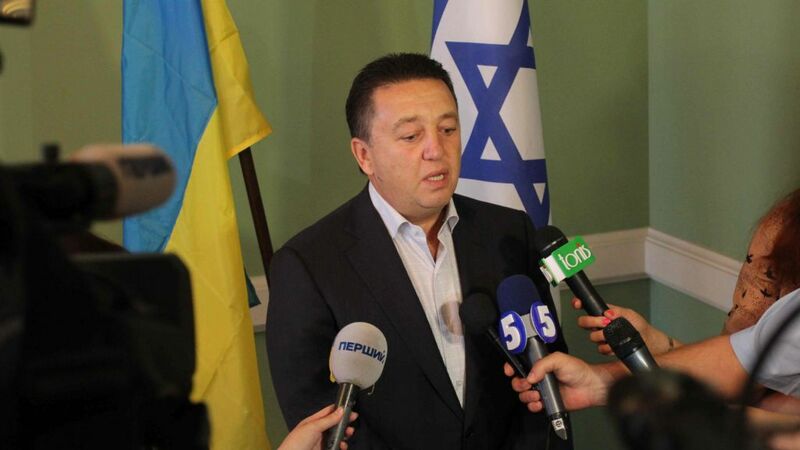 United Jewish Community of Ukraine was established as the All-Ukraine Jewish Congress in 1997 by controversial Ukrainian Jewish oligarch Vadym Rabynovych. Its current name was adopted in 1999. 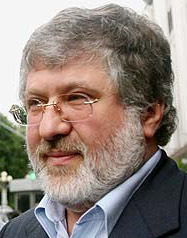 In 2008, Ihor Kolomoisky of PrivatBank formally succeeded Mr. Rabynovych as UJCU leader; however, Mr. Kolomoisky appears to have abandoned the organization, perhaps because he is consumed by the Ukrainian-Russian confrontation. 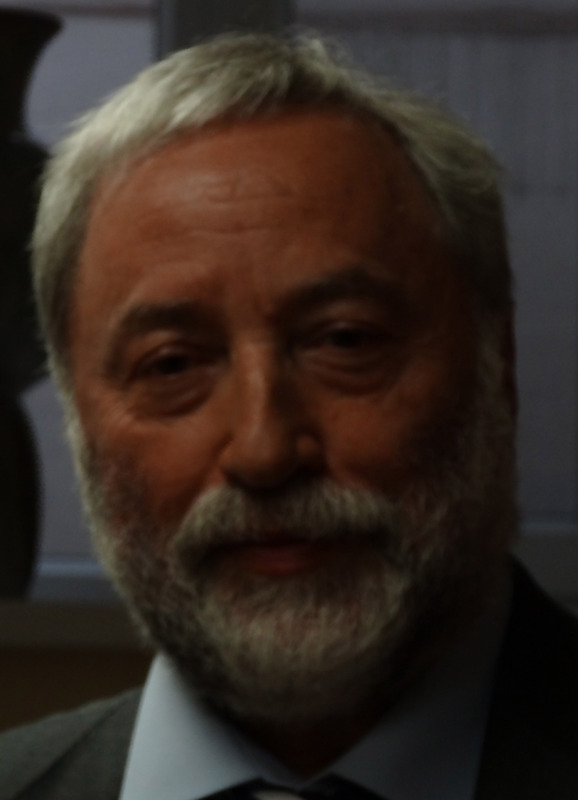 Iosif Akselrud, who is executive director of Hillel, also is the executive director of UJCU. Mr. Akselrud stated that the UJCU now "barely exists." Mr. Kolomoisky ceased contributing to the organization in 2014, apparently mobilizing his ample resources in support of the Ukrainian armed forces and other organizations/institutions defending Ukrainian sovereignty. Without the financial contribution of Mr. Kolomoisky, said Mr. Akselrud, UJCU literally has no budget. It no longer supports the 31 Jewish community Sunday schools to which it had made major contributions in previous years. 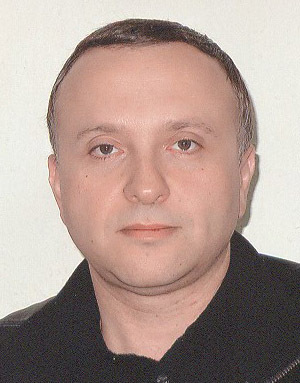 Ihor Kolomoisky, the nominal president and principal benefactor of UJCU, no longer contributes to the organization or is active in it. His major concern now is defending Ukrainian sovereignty. Https://www.google.com/search?q=igor+kolomoisky&rlz=1T4GGRP. Retrieved September 12, 2013. UJCU continues to publish a periodic Jewish newspaper and to monitor antisemitism in various communities through telephone calls and use of Skype. He has seen no increase in antisemitism during the current crisis, said Mr. Akselrud. 82. 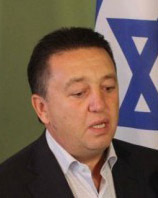 The Ukrainian Jewish Committee was established by Oleksandr Feldman, a wealthy businessman from Kharkiv and a member of the Ukrainian Rada (parliament), in 2008. Mr. Feldman, who previously was associated with the Jewish Fund of Ukraine, modeled the new organization on the American Jewish Committee, he said. The writer met with Eduard Dolinsky, the director-general of the organization. Oleksandr Feldman, (left) a wealthy Kharkiv businessman, is a member of the Rada and a major philan-thropist to both Jewish and general causes in Kharkiv. He sometimes wears a kipa (Jewish head covering) in the Rada, and is pictured here on a trip to Israel. Eduard Dolinsky (right), the general director of the Ukrainian Jewish Congress, is from Lutsk in western Ukraine and remains in contact with that area. Photos: Mr. Feldman, Ukrainian Jewish Committee; Mr. Dolinsky, the writer. 4. Development of Ukrainian Jewish self-sufficiency, including establishment of a "unified voice" to speak on behalf of Ukrainian Jews and a limit to tenure of lay leaders. Both Mr. Dolinsky and Mr. Feldman have expressed impatience with Israel for its refusal to support Ukraine in its current conflict with Russia; at the same time, they say that they understand Israel's need to maintain good relations with Russia for multiple reasons, including protection of Jews in Russia, continuation of the right of Jews in Russia to emigrate to Israel, Israel-Russia trade relations, and some discipline in the export of Russian weapons to Arab states. Mr. Feldman visits Israel often and speaks with Israeli officials frequently. The discussion with Mr. Dolinsky did not go into detail about a Kyiv-based Ukrainian Jewish History Museum, but such a project has been discussed in Kyiv for some years and has assumed new importance since the opening of a Ukrainian Jewish history museum within the Menorah Center in Dnipropetrovsk. Many Kyiv Jews believe that the primary such museum should be in Kyiv, the nation's capital. In addition to location and cost factors, a potential complicating factor in the development of a Kyiv Ukrainian Jewish History Museum is the contention of different Jewish interest groups over its control. Regarding Romania, Romanian forces massacred Jews in Odesa, Mykolaiv, and in Transnistru during the Holocaust. Romania has never properly acknowledged its role in these atrocities. A growing concern among Ukrainian Jews is continuing foreign - Israeli and diaspora Jewry - control over Ukrainian Jewish affairs. "After more than 20 years [of Ukrainian independence]," said Mr. Dolinsky, Ukrainian Jews "are ready to do much on our own." The future cannot continue along the same pattern as now exists, he averred. Certainly, indigenous management of Jewish community life would be much more cost-efficient than bringing in Israelis who must be compensated for housing, insurance, transportation between Israel and Ukraine, and other expenses. Many capable managers have emerged among Ukrainian Jews, Mr. Dolinsky stated, and the principle and practice of accountability now are well understood among younger Ukrainian Jews who speak English and have participated in exchanges with foreign counterparts. Furthermore, he said, professionals and many people in business have adopted Western standards in their work. Mr. Dolinsky suggested that a dialogue be established among Ukrainian Jews, American Jews, and Israelis about the transference of Jewish communal programming to Ukrainian Jews. "This is the time to do it," he concluded. Commenting on the current situation in Ukraine, Mr. Dolinsky stated that Ukrainian Jews face two primary problems. First, he said, is the Russian intervention in Ukraine, which affects Ukrainian Jews no less than it affects everyone else in Ukraine. The facts of this intervention are well-known and it is unnecessary to re-state them. The second issue, he declared, is the economic crisis. Ukrainian currency has dropped in value by 50 percent in the last three weeks. (His own compensation has declined 60 percent in value, he added.) Wide-ranging governmental reforms are required to address the dysfunctional Ukraine economy, he said, and implementation of such reforms will exact further hardship on Ukrainians for several years until the economy is turned around. This interim period, he continued, will be very difficult for already vulnerable population groups, i.e., children and the elderly, and also may cause further hardship to the strapped education and public health systems. He hopes that American and other Jews will be generous in their response, extending additional aid to Ukrainian Jews even as Ukrainian Jews assume control over their own welfare needs. Relations with the American Jewish Joint Distribution Committee must be reviewed. Regarding antisemitism in Ukraine, Mr. Dolinsky stated that much of the "popular" or street antisemitism in the country is a provocation, instigated by the Russians or by people associated with former President Viktor Yanukhovych. They all want to dis-parage post-Yanukhovych Ukraine so they construct antisemitic incidents. However, Mr. Dolinsky said, some individuals within the small Svoboda (Freedom) party have made antisemitic remarks and have not apologized for these comments. Perhaps Svoboda may cause problems in the future, he said. Right Sektor, the other small rightwing political party, is openly opposed to antisemitism and fights it when it occurs. It is possible, he continued, that Right Sektor is just being pragmatic for the time being and will become antisemitic in the future; only time will tell, he said. No major political party in Ukraine is antisemitic, he stated. The Joint Distribution Committee never offered a cogent explanation for its obstructing actions, but the assumption is that it feared loss of its monopoly over major welfare ventures in the post-Soviet states and associated fundraising privilege. JDC also blocked applications for funds from the Conference on Jewish Material Claims against Germany by the Beit Baruch Assisted Living Facility in Dnipropetrovsk and by an independent Jewish Community Center in Kyiv. The reference was to Rabbi Yaakov Dov Bleich, nominal Chief Rabbi of Kyiv and Ukraine, and to Rabbi Moshe Asman of the Main Choral Synagogue (Brodsky shul). See the writer's Observations on Jewish Community Life in Ukraine - Report of a Visit in April 2013, pages 135-137 for an interview with Mr. Likachev. See pages 90-91 for information about Hillel and Mr. Akselrud.